"Where will my child live when she leaves home?" After months of searching, they visited a L'Arche home and saw persons with disabilities and assistants sharing a life of faith and beautiful relationship - a life of they dreamed of for their children. 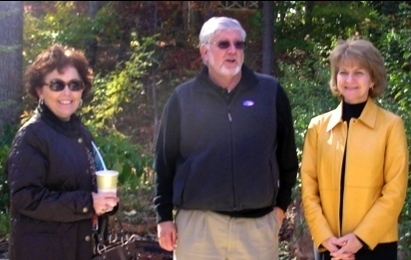 Inspired by hope, they made a commitment to bring L'Arche to Metro Richmond. In time we became an emerging L’Arche Community called Friends of L'Arche. We established our Board of Directors and the Community Life Group. The Community Life Group established traditions and celebrations that provide opportunities for persons with and without disabilities to form relationships, support networks, and community. In January 2016, the L’Arche USA Board of Directors welcomed us as a “Project” of L’Arche USA – an official L’Arche community! And so . 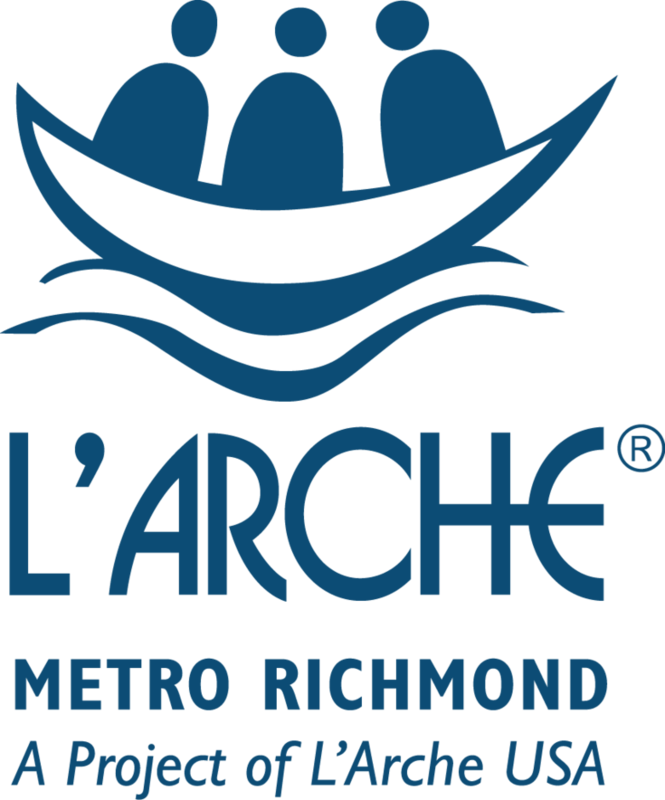 . .
We are now L'Arche Metro Richmond, a project of L'Arche USA. We plan to open a L'Arche home in Metro Richmond within the next two years. Because of friends like you, L'Arche Metro Richmond grew from the initial dilemma of "What will the future hold?" to today's vital, L'Arche community. We are incorporated in the Commonwealth of Virginia and we are a 501(c)3 not for profit charity. We are a Project of L'Arche USA. We invite you and your loved ones to join us as we play, celebrate, work, and pray. As our L'Arche Metro Richmond community enhances lives today, we are also working diligently towards our dream of L'Arche services and homes where persons with and without intellectual disabilities share life with spirituality, celebration, and dignity. 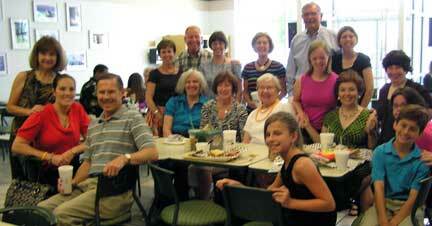 Celebrations, luncheons, "Pizza with the Pastor," picnics, and volunteer activities are great fun. More significantly, persons with disabilities and loved ones form relationships, support networks, and community, and find purpose. You and your loved ones are invited. Read more about our activities on our Events Page. You are invited to our Community Life Group (CLG) meetings. Our CLG is the heart of L'Arche Metro Richmond, focusing on the spiritual and community aspects of L'Arche. Our CLG meets regularly to learn, pray, celebrate, plan events, build relationships, and strengthen our community. Some friends are very involved and others join us when they can. Persons with and without disabilities are invited. Join at a level that's right for you. Click here to view our calendar for the date of our next CLG meeting. Our Board is in a strategic planning process to ensure that we will be prepared to accomplish our mission to provide one or more successful L'Arche homes in Metro Richmond. Key goals for this year involve steps to realize L'Arche homes and ensure their long-range sustainability. More specifically, our Board is formalizing long range financial and staffing plans; building partnerships with churches, civic groups, government agencies, L’Arche communities, and organizations serving persons with intellectual disabilities; and initiating a development and fundraising plan. Among our biggest challenges - Raising the substantial funds to build, operate, and sustain L'Arche homes - homes that not only operate within an excellent agency, but homes that foster a good life with spirituality, relationship, and community. We have a profound responsibility to honor and serve persons with disabilities, and to be worthy of your prayer, efforts, and treasure. We are taking every step to be good stewards of your gifts. As a project of L'Arche USA, we are raising funds and preparing to hire staff to provide L'Arche services and homes. While working to step up to this next level, we continue to enjoy celebrations, luncheons, sports, variety shows, worship, theater, and much more. It's great fun, yet more importantly, friends with and without disabilities are forming relationships and community, building support networks, sharing faith, and finding purpse. We are honored by your love and support as we celebrate God's grace in the work we've done, the relationships we've formed, the community we've built, and the fun we've had as we near our dream of L'Arche homes in Metro Richmond. You are invited to join us for our luncheons, celebrations,volunteer activities and other events. Click here for our calendar and Events page. The dream of L'Arche homes in Metro Richmond is near. Our first L'Arche group home will require $300,000 to $500,000, depending on whether we buy or rent. You can make a difference. With your gifts, L'Arche services in Metro Richmond are just around the corner. Please prayerfully consider how you can turn this dream into reality. You can give online. See the "Donate" button in the sidebar on the right. Thank you!